Today, the debate over the production and consumption of meat versus vegetarian diet is raging across the globe. It must be said that globally, we eat on average a lot more meat than before, mainly because of the food transition in countries such as China and India. And whosoever ever told you that you can’t have a weight loss diet plan without Non-Vegetarian food was wrong. Here, we’ll suggest you a Non-Vegetarian food diet for weight loss that would keep you full while keeping your weight in check. What to eat in Non-Vegetarian? According to Dietician Sheela Sherawat of Diet Clinic, eating meat has many health benefits that cannot be derived from a vegetarian meal. For starters, the meat contains high-quality proteins that contain all the essential amino acids. Proteins are very useful for bodybuilding. Therefore, people who consume only plant-based foods are more susceptible to reduced growth and have a weaker body than non-vegetarians. For example, chicken contains amino acids that protect against the common flu and reinforce a person's immune system against commonly known diseases and ailments. Consuming meat is considered by some diets like Atkins to be Best Way to Lose Weight. Weight loss diets mainly comprise of in taking green vegetables, juiciest fruits, and plenty of water in daily foods routines. Meat contains creatinine, which is necessary to build muscle mass for us to be able to move and other physical activities. Infants who consume vegetarian food through customized diet plans demonstrate less growth. Iron, an essential mineral in the production of hemoglobin and the resulting blood levels is present in large quantities in red meat compared to all types of plant sources. For example, animal liver contains 6000 μg per 100 grams versus 325 μg per 100 grams of carrots. Bone marrow and meat soup are also a rich source of iron compared to green vegetables. Vegetarians are more likely to suffer from iron deficiency anemia due to their low iron content in Weight Loss Diet. The phosphorus content in cereals and legumes is generally in the form of phytic acid. This means that this type of phosphor must first be hydrolyzed before it can be absorbed by the body. Conversely, the phosphorus contained in meat is easily absorbed by body tissues, indicating that non-vegetarians are more likely to have a higher level of phosphorus in the body than vegetarians. Meat also contains high levels of vitamin B12, which is not present in plant foods. Deficiency of vitamin B12 can cause macrocytic anemia in babies of vegetarian mothers. Strict vegetarians are at risk of deficiency of nutrients such as riboflavin, zinc, iron, calcium and essential amino acids such as lysine and methionine. Vegetarian children are at risk of calorie deficiency. 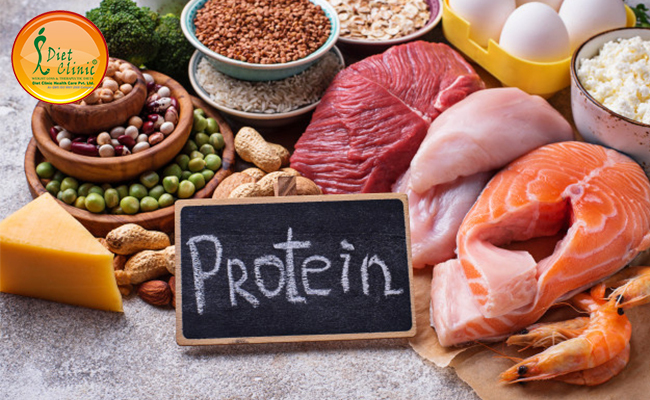 Because plant-based proteins have much lower and sometimes non-existent saturated fat content and are high in fiber and antioxidants, they reduce the risk of developing heart disease. Several studies have proven in particular links between the consumption of meat with the risk of developing certain diseases such as diabetes, or even certain cancers. The main advantage to reduce the share of meat in your daily consumption, you can develop a more varied diet. If you cut the proportion of meat in your menus, then that means you're going to add a growing share of plants, grain products, fruits, and vegetables, but also use other sources of protein such as legumes and chickpea. Despite some small disadvantages, it is without any doubt that those who consume non-vegetarian food as a quick weight loss diet plan are physically stronger and also have access to all the necessary amino acids. This means that over the course of a lifetime they suffer less from weakness and have plenty of energy for their daily activities.